Developers on the Sunshine Coast are seeing a gradual return of investment activity in the southern Sunshine Coast property market, with an indication that sales are returning to a pre-GFC level despite national trends. This sales trend vibe is illustrated by Pelican Waters’ newest estate, Waterside, which has become one of the most successful masterplanned community projects after selling 255 lots since its first release in January 2015. Pelican Waters General Manager of Development Hamish Pressland said the signs were extremely positive for the Sunshine Coast. “Our feelings are that the Sunshine Coast market is on an upward trajectory, reversing trends of what is reportedly being experienced in Sydney and Melbourne,” Mr Pressland said. “There is a real sense the market commentary regarding a softening in the property market is not relevant in our region. “With the market seemingly peaking in the southern CBDs, investors from those regions are looking to the Sunshine Coast again, which is certainly what we are seeing with Waterside and elsewhere in Pelican Waters. Driving factors for the level of sales in the region have been identified as value for money, world class lifestyle advantages and strong economic outlook built around major job creation projects and rising household incomes. Mr Pressland said demand for both land and house-and-land packages remained strong on the coast. Regarding his own project, the waterfront will be an element of Pelican Waters' next stage with feedback on its 2017 release looking promising. 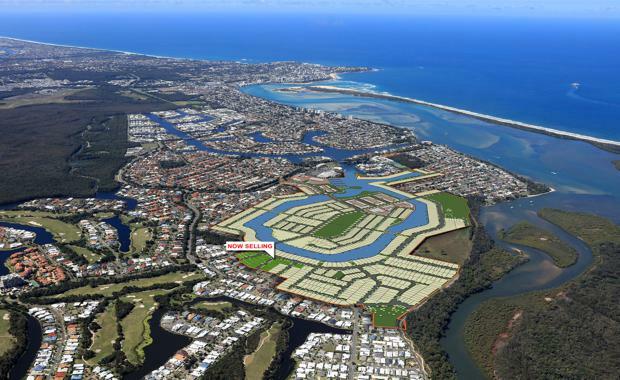 “With direct ocean access as a feature of this land release, Pelican Waters sales consultants are reporting that based on the feedback from their enquiry, the land will be sold very quickly upon its release,’’ Mr Pressland said. Construction will begin in September and will feature waterfront and water view land along with the marina and retail development land, signalling the start of the Pelican Waters Town Centre & Marina.